Jared Unzipped: Move Over Rudolph, It's The Yule Goat! Believe it or not, there's a goat connected with the Christmas holiday season. Unless you're from Scandinavia, you've probably never heard of it. I'm talking about the Yule Goat. Originating with pre-Christian Scandinavians and northern Europeans, the Yule Goat is a symbol of the harvest season carried into winter. Tradition states that once the last batch of grain had been harvested, it would be saved for the annual Yule celebration. This bundle of grain was deemed the Julbocken, which translates to Yule Goat. The symbol of the goat was highly regarded at the time, especially by the Norse. This is because of the relation to the thunder god Thor, whom rode a mighty chariot pulled by two magical goats. As the years went on, the symbol of the goat spread to other aspects of the winter holiday season. During the 11th Century, actors performed simple plays wherein Saint Nicholas would lead a goat man around by a leash. This was meant to symbolize keeping the devil under control. Continuing through as late as the 20th Century, these same plays would grow and evolve further. The Yule Goat took on a more whimsical and tawdry nature. Large groups of actors would dance down streets and past homes in villages. They would sing, prance and play innocent pranks on their neighbors. The Yule Goat was typically part of this revelry, filling the role of a raucous beast-man demanding treats and presents from people. 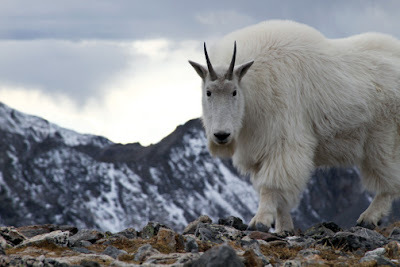 By the 19th Century, the Yule Goat had also taken on a similar role as Santa Claus. He'd come around during the holidays and leave small gifts for children. Often times, the two characters were depicted together. Today, the Yule Goat is a massively popular symbol representative of both the Christmas and Yule holidays. Throughout Scandinavia, the Yule Goat is just as common a holiday icon as reindeer or snowmen are here in America. 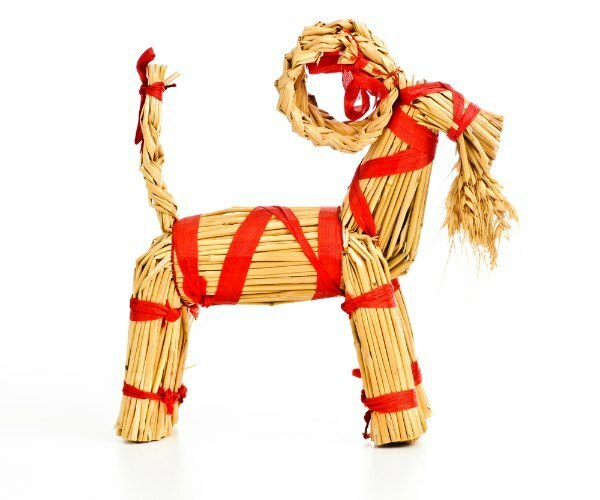 Yule Goat ornaments are created from straw and wood with red ribbons tied around their neck and horns. Don't you think it's a-bbbbbbbbbaaaaahhhhhhh-out time you added a Yule Goat to your Christmas tree?